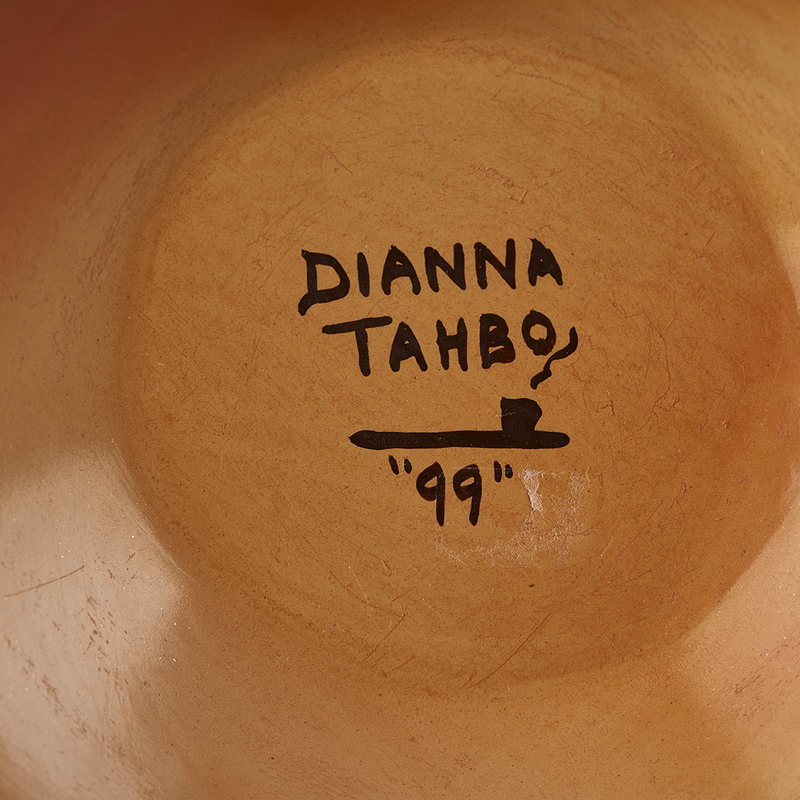 Diana Tahbo was a great granddaughter of Grace Chapella, and was the sister of well-known potter, Mark Tahbo. 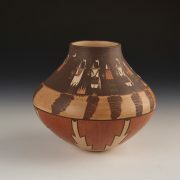 She was often an award winner at Indian Market in Santa Fe. 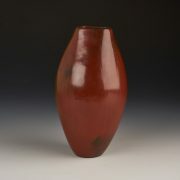 Well known for her miniatures, as well as larger works, she was a terrific potter. This work features a sweeping bird design from Sikyatki traditions, plus embellishments within the primary design. 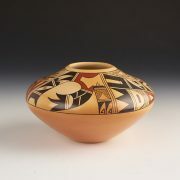 Of the Tewa Spider Clan, she came from a long line of recognized potters. 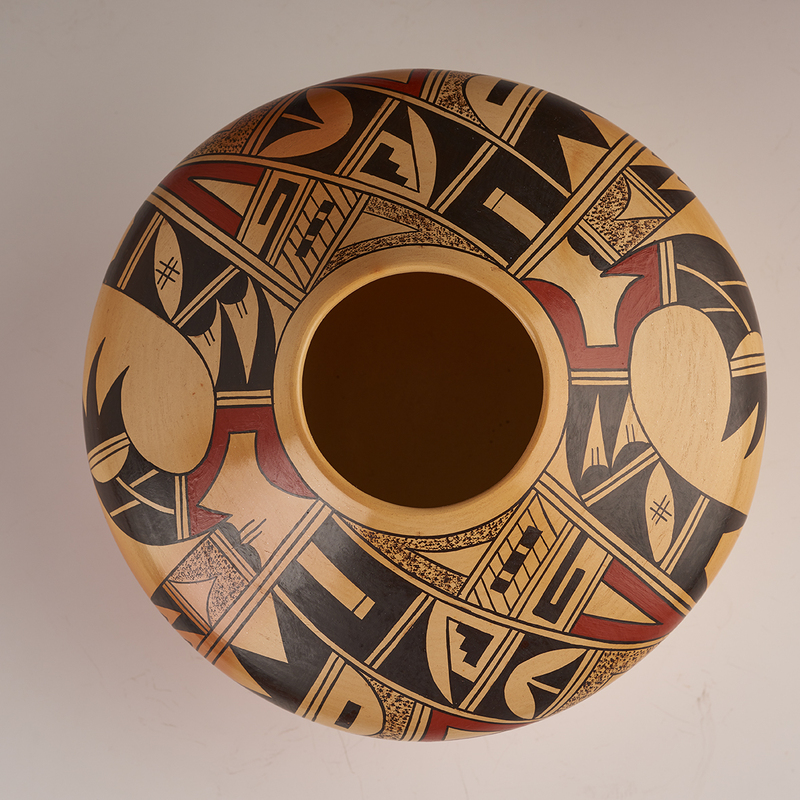 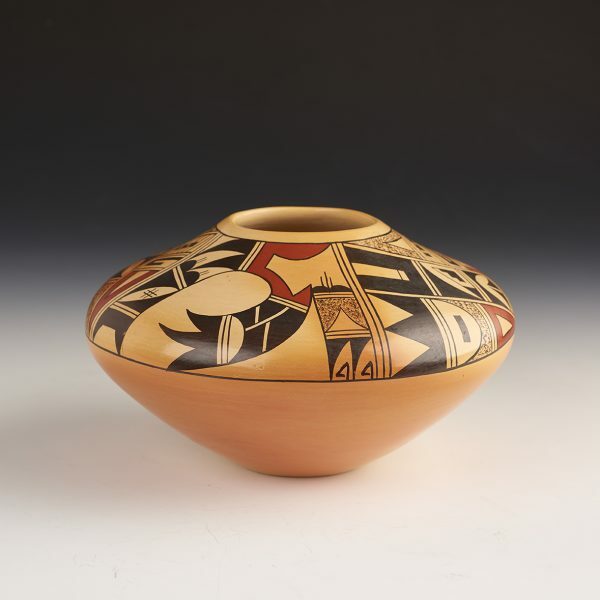 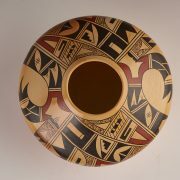 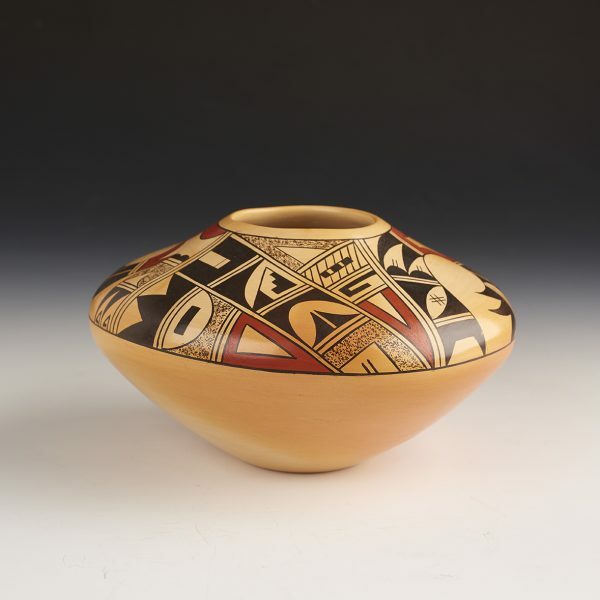 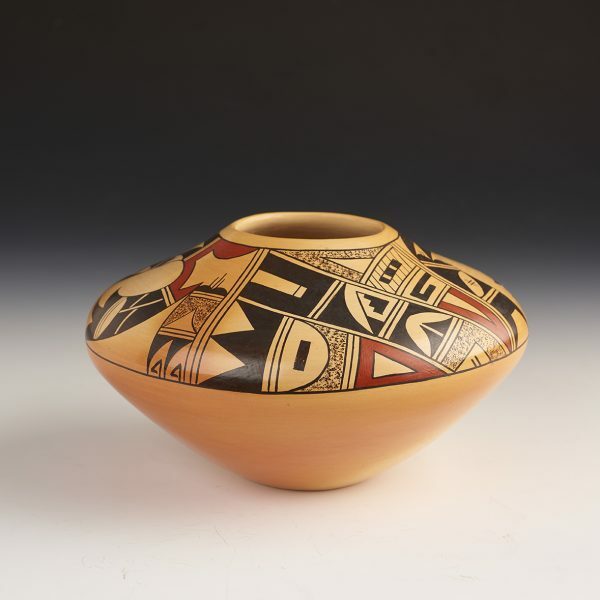 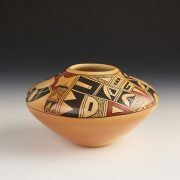 Dianna began producing pottery in 1980 and developed a unique blend of traditional and contemporary Hopi designs. 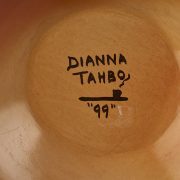 This bowl was created in 1999. 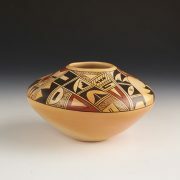 She died in the spring of 2011.